The angel biscuits from Recipes & Remembrances: Croom Family Cookbook are delicious served with butter and jam or country ham. Mix all ingredients together, and let set in refrigerator overnight. Roll out the next day, and bake at 400° until light brown. 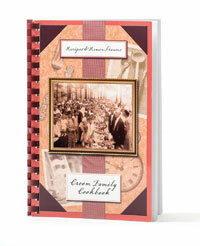 To purchase Recipes & Remembrances: Croom Family Cookbook, call Diane Johnson at (252) 286-8477.